Digital plans from the DIY Raised Planter Box post. This raised planter box is a great addition to your patio or porch. Hidden drainage keeps water off the lower shelf and keeps things clean and tidy. 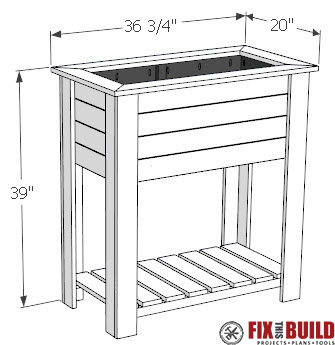 The planter box stands 39” tall, 36-3/4” wide, and 20” deep. It’s made entirely from cedar 1×4’s and easy joinery for a quick build. 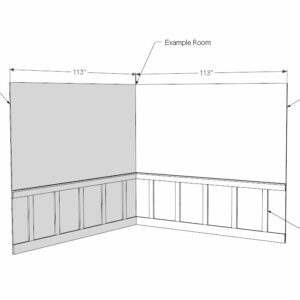 The PDF download includes 11 pages of Cut Diagrams, Parts Lists, and 3D diagrams with detailed steps to build the project.